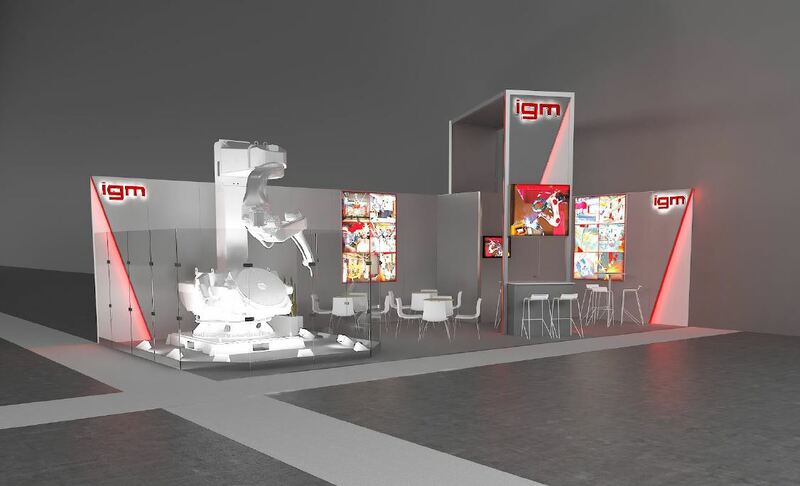 igm at the Global Industrie 2019 in Lyon, France. From 05.03. - 08.03.2019 we are again present at the Global Industry Fair in Lyon, France. At one of the most important industrial fairs in France, we will inform you about our solutions and application possibilities. The core competence, the production of highly specialized welding robot systems for heavy but still compact arc welding applications, will be demonstrated by one of our compact systems. The slim design of the robot arms, the guidance of control and welding media, the peripheral equipment, everything is optimized for heavy-duty welding. The sensor systems, especially the self-developed laser camera type iCAM, extend the possibilities of welding automation: The camera guides the torch exactly in the weld groove and compensates online position and contour deviations due to tolerances and heat distortion.